Every summer, children from all over the country hit the roads in droves for another memorable vacation. With family, or with friends, the memories formed here will be cherished for years to come. Unfortunately, not all children are able to enjoy the simple pleasures of the summer vacation. Thousands of special children in the country are afflicted with conditions and illnesses that make it difficult for them to facilitate even basic social interactions. These include those that are diagnosed with; Autism, Down Syndrome, Cerebral Palsy and ADHD. This summer, Columbian Autocar Corporation (CAC), the exclusive distributor of Kia vehicles in the Philippines, banded together with Kia Owners United Philippines (KOUPh), through club President Chito San Agustin to support a special Summer Kamp for Orphaned Special Children. Earlier this year, CAC was approached by San Agustin with a proposal to help send more than 400 participants to the special Summer Kamp for Orphaned Special Children. San Agustin, a 2016 Kia Advocate, is the President of Kamp Pagkakaisa Volunteers, Inc. (KPVI), a non-profit, non-stock organization that is committed to the welfare and development of these special young people. For the past 38 years, KPVI has held this summer program where children engage in classes and activities that teach them to be self-reliant and also to showcase their innate talents and skills through therapeutic activities. At this year’s Kamp, the members of KOUPh were joined by representatives of Club Rio Philippines to serve as volunteers for a day at the latter part of the 10-day event and facilitate extra games and activities for the kids. 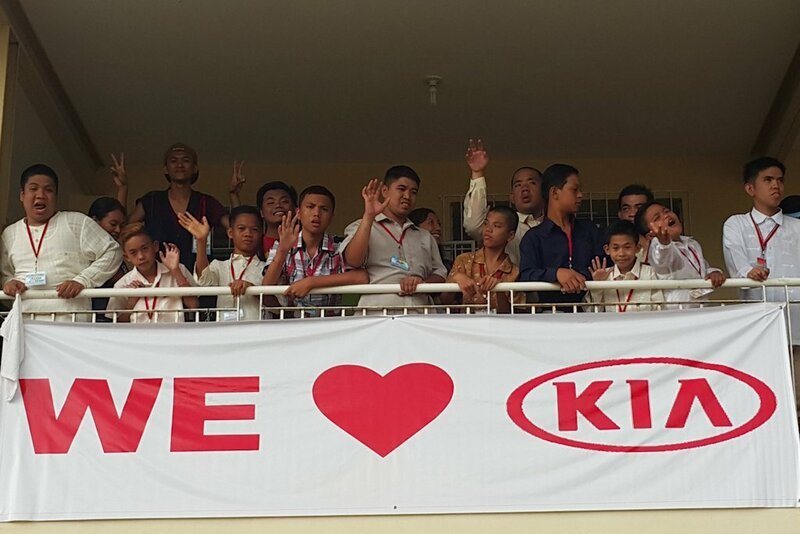 According to San Agustin, “I’ve met many of these Kia car club members on the road and at events. I know personally how kind-hearted and warm these people are. Many of them did not hesitate to donate to KPVI’s cause. Domingo thanked KPVI for their efforts in bringing happiness into these special children’s lives and shared how CAC also appreciated their efforts and the chance to be part of something extraordinary. BRAVO! to you Chito and Columbian!